A quick check through David Cavanagh’s splendid history of John Peel’s radio shows Goodnight And Good Riddance reveals that I first heard the music of Johnny Marr on June 1, 1983. This was The Smiths’ first session for Peel and in particular, I clearly remember being blown away by the guitar intro to “What Difference Does It Make?” To this day, that dashing, driving riff still raises the hairs on the back of my arm when I hear it. Marr, both in The Smiths and in countless other projects since, has remained a constant and consistent presence – as guitarist-for-hire, collaborator, wingman and, increasingly, as a formidable solo artist in his own right. This month’s exclusive cover story finds Marr at a critical point in his career. On the verge of releasing a brilliant new solo album, he is also coming to terms with the social and political upheavals of the last few years. As David Cavanagh finds out when he visits him in his native Manchester, Marr is a naturally positive thinker, who feels that music in the next decade can send powerful messages of hope and togetherness. Having read David’s typically brilliant piece several times now, I’m struck by Marr’s enthusiasm and open-heartedness; his unshakeable belief in the importance on music. He has also, resolutely, remained one of us, when certain parties – former band mates, maybe – are clearly opting to pursue a more divisive and reactionary path. Johnny has some views on that, for sure. There’s plenty besides Johnny in this issue, too. As you’ll discover when the issue goes on sale this Thursday (March 15), we have an embarrassment of exclusive interviews to share with you. There’s in-depth chats with John Fogerty, John Prine (a lot of Johns, granted), Dan Auerbach and Unknown Mortal Orchestra as well as Shirley Collins, Martha Reeves, Laura Veirs and Viv Albertine. We bring you new jams from Khruangbin, tall tales from Derek Smalls, brace ourselves as Led Zeppelin’s 50th anniversary onslaught begins and champion great new music from Kacy & Clayton, Trembling Bells and Mouse On Mars. Elsewhere, in the issue, you’ll find a lovely piece about a new book, Going For A Song: A Chronicle of the UK Record Shop. It ends on a lovely, warm note from the author, Garth Cartwright. “The days of the megastore are gone,” he tells Peter Watts. “But there’s still a place for specialists, where you can find records nobody else has, where people have enthusiasm and knowledge and want to share it. They are still vital.” Cartwright’s positivity chimes with Johnny Marr’s – there are good people who believe passionately in the power of music. 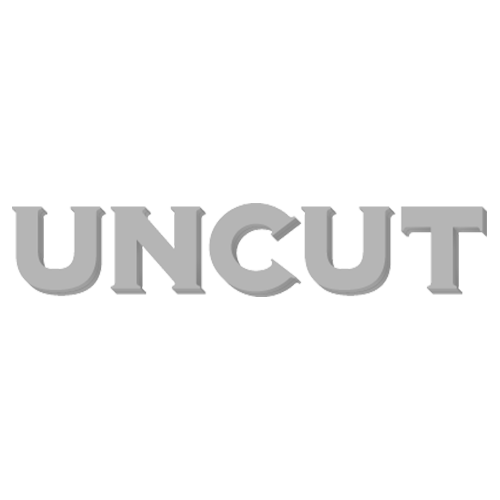 Welcome, then, to the new Uncut.